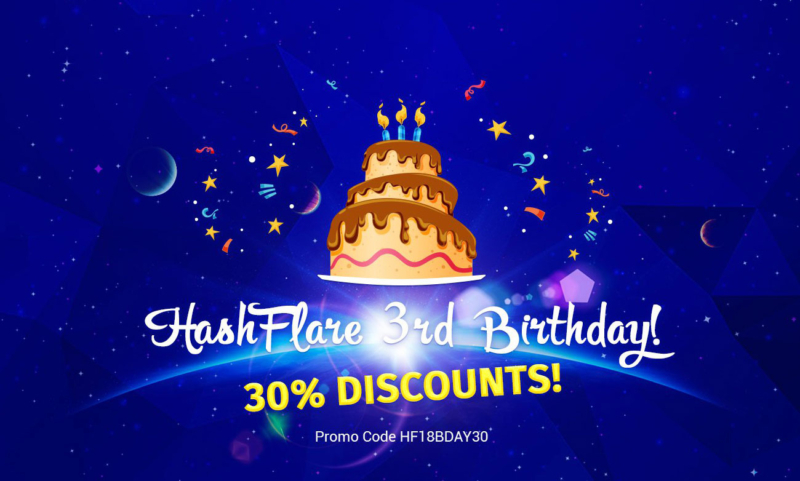 HashFlare turns three years old on March 26th and so to celebrate this, they are giving 30% off of all contracts to the first 10,000 customers who purchase hashrate throguh the site! To get this deal, use the promo code HF18BDAY30 at the checkout. So make sure you act fast if you want to be one of the 10,000 to receive this discount! If you're too late, don't worry, there is also a 10% discount code you can use, enter HF18SPRNGSL10 at the checkout for 10%. This is also a limited offer, so head over to HashFlare now to see what discounts you can get.